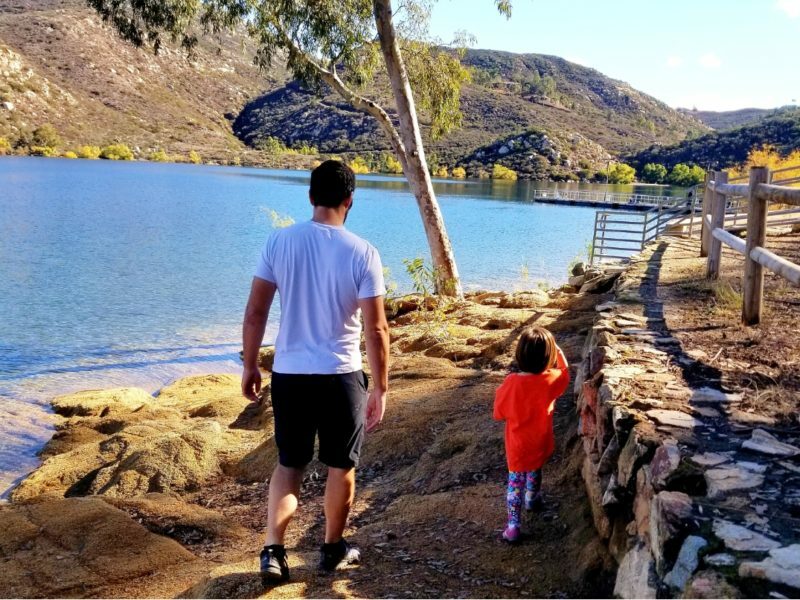 Lake Poway Loop Trail is 2.5 miles long and considered moderate difficulty. The trail is half dirt fire road and half single track and has a few steep hills, but you have beautiful views of the lake for most of the hike! Big kids can complete this hike, but smaller kids should be carried. 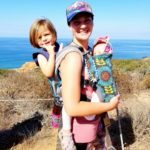 I have seen someone do this hike with an offroad stroller, but I suggest a carrier because a few parts are steep and rocky. This trail can get unbearably hot in the summer months. It is easiest to go counter clockwise around the lake. Start your hike to the right of the convenience store and boat dock. From there you will walk along the path with the lake to your left and a grass field to your right. This path will curve left and you will start to go up a few steep hills. Once you reach the back of the lake, the path will fork. Taking it right will head to Potato Chip Rock, take the fork to the left to stay on the Lake Poway Trail. A little further and about halfway around the lake there is a covered bench and picnic area which is a great place to stop for a snack break and it even has a porta potty. Once you get closer to the dam the trail will fork. Do not take the left trail, you cannot walk across the dam and the trail dead ends. After you take the right fork you will start to descend. Eventually you will hit a T in the trail. Turning right will take you to Blue Sky Reserve, so you should go left. A little bit further you will see a trail on your right, take that trail. If you keep going straight it will dead end at the dam. Now the trail will ascend back up to the lake. You will see a trail to your right, keep going straight. At the top of the hill you will reach multiple forks. Though all trails will eventually get you back to the parking lot, keeping to the left will be the fastest way back to your car. 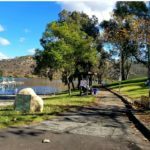 Lake Poway park has a few different playgrounds and a lot of areas to picnic. There is also a small concession stand where you can rent boats. 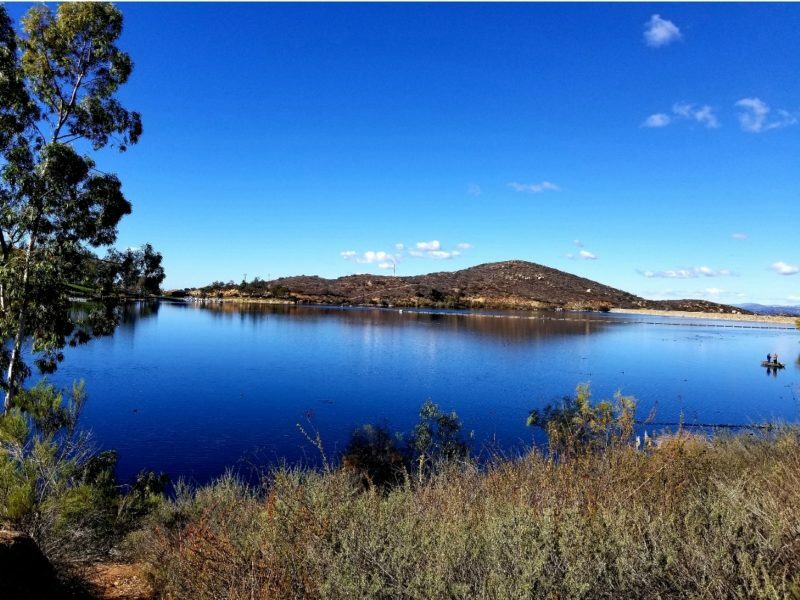 It is easy to spend the whole day at the beautiful Poway Lake! Restrooms: There is a restroom at the concession stand and a porta potty halfway around the lake. 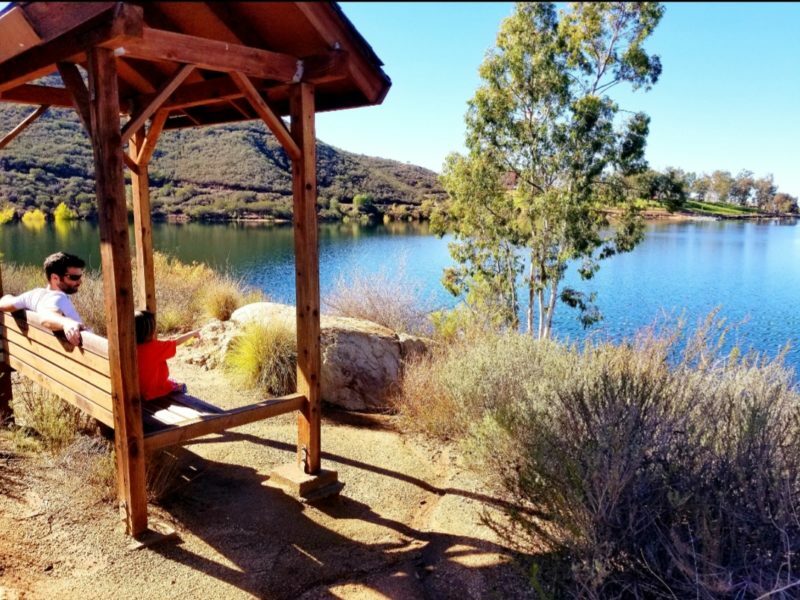 You can spend the whole day at Poway Lake hiking, boating, fishing, having a picnic, playing on the playground, and more! If you enter the park on a weekday it is free. 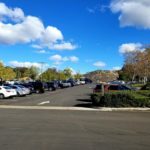 There is a small fee on the weekends if you are not a Poway resident. There are a few parking lots inside the park. 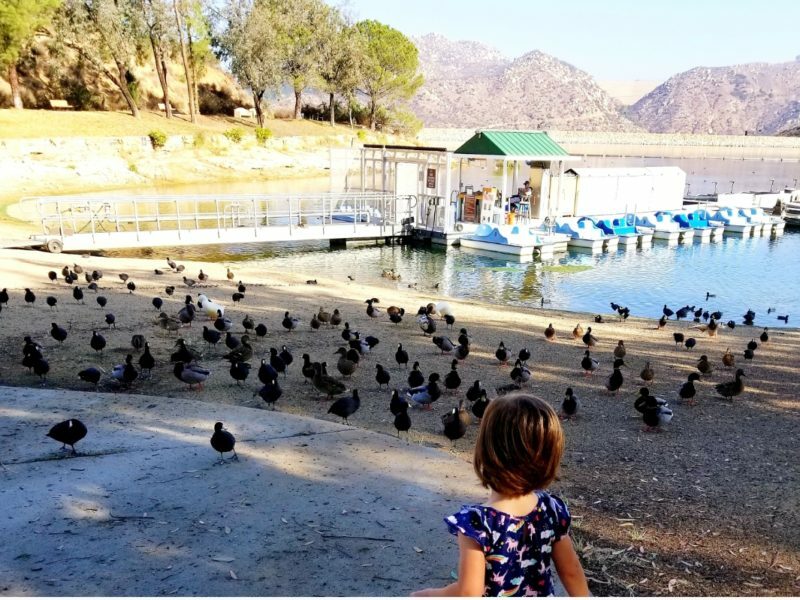 If you want to park closest to the trailhead, once you enter the park, park in the first large parking lot on your left close to the convenience store and dock.